Datalogger with 5 Event buttons. Similar to our standard Dataloggers, but with five Event buttons. Each button is separately identified in the Datalogger csv file. In addition, each button is assigned a different waypoint symbol in All Topo Maps Pro. This system can be used on ANY type of spray equipment. We have them installed on Trucks, ATV’s, Tractors, and Backpack sprayers. It is easy to install and we provide installation information with the units. 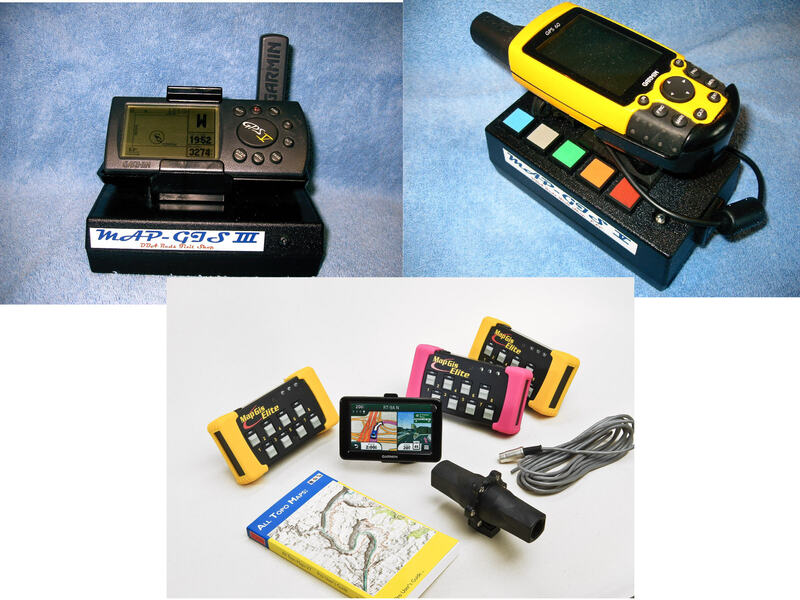 You can use any GPS receiver that sends a NEMA output signal but we do recommend the Garmin, it has been proven to be very rugged and dependable. Accepts 10Vdc to 30Vdc external power. Non-volatile memory preserves data if power lost. Memory saving 'Automatic Save' function. Reads NMEA data sentence from GPS. Very Lightweight and robust - good for mobile use. Selectable sample rate, NMEA rate or Programmable 5 seconds to 10 minutes. Store Position only, OR Position, time and date. Store a time stamped position whenever pressed, independent of other options selected. Log in NORMAL mode and only store a Time stamp when required, for maximum capacity. Event buttons can be separately identified. Download Cable: Datalogger to PC.